besan bhindi recipe | besan wali bhindi | rajasthani bhindi recipe with detailed photo and video recipe. 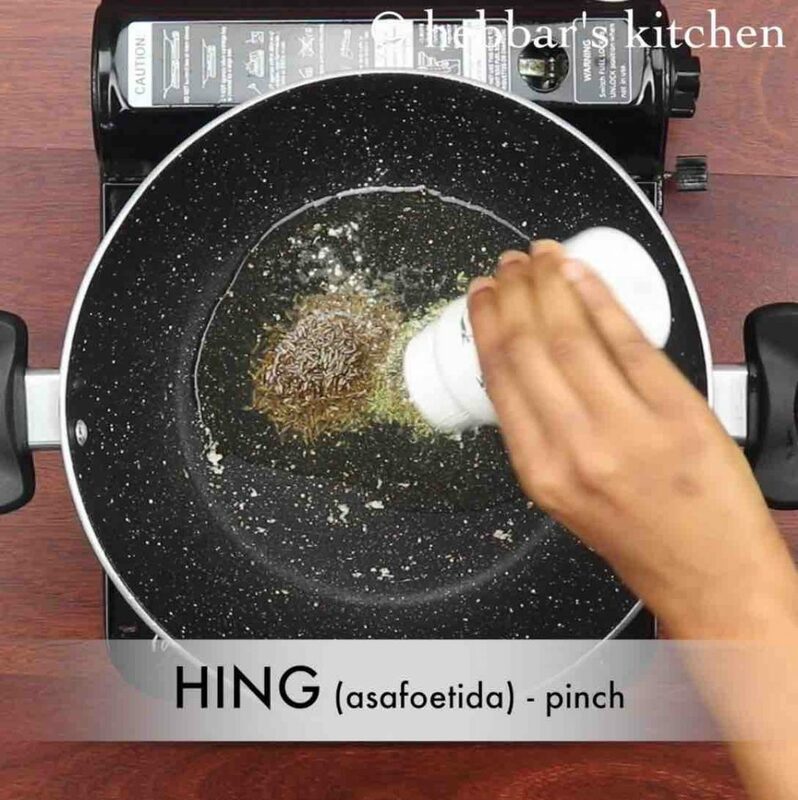 easy and quick dry variation of bhindi recipe prepared by coating it with spiced besan or chickpea flour. it is one of the popular rajasthani cuisine dry side dish recipe which is mainly relished with roti or chapathi or even for dal rice combination. the recipe for besan wali bhindi is extremely simple and the spiced besan mixture can be prepared within minutes. besan bhindi recipe | besan wali bhindi | rajasthani bhindi recipe with step by step photo and video recipe. unlike any other traditional north indian curry recipe, besan bhindi recipe is a no onion no garlic recipe. 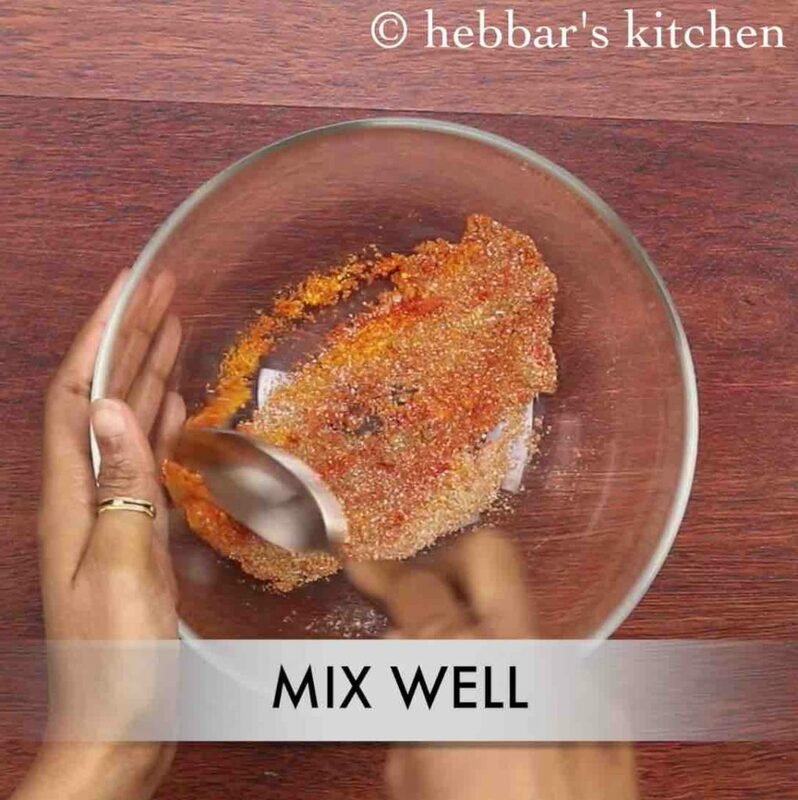 this recipe contains only dry coating of besan mixed with spice powders like red chilli, garam masala and amchur. after the coating the okra’s are pan fried till crisp and served hot. rajasthani cuisine recipe’s especially curries are mostly dry without much moisture and and tomato and onion based sauce. besan bhindi is one such recipe which matches rajasthan’s demographic, weather and climate. in fact i have shared couple of other rajasthani dry variation of sabzi recipes like mirchi ki sabzi, dahi bhindi, dahi papad ki sabzi etc and all share the same characteristics and features. all these curries are dry coated with besan, or prepared with yoghurt base without any tomato and onion sauce. even the most famous dal baati recipe is more or less on dry side with baati steam cooked with wheat flour. i have not shared the recipe yet for daal baati but i am planning for it soon. 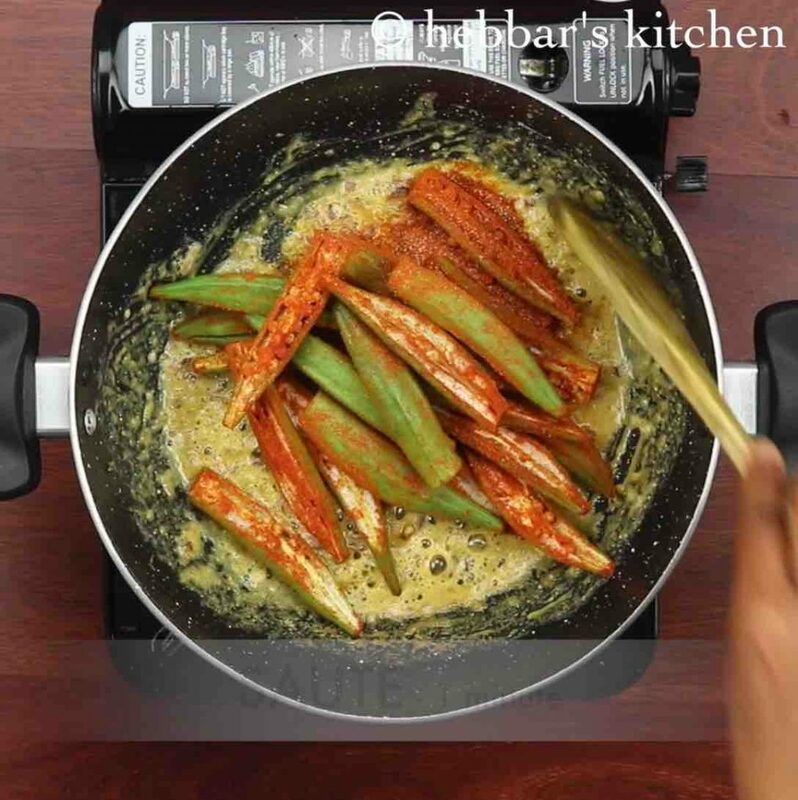 furthermore some important tips, recommendations and serving suggestions for this besan bhindi recipe. 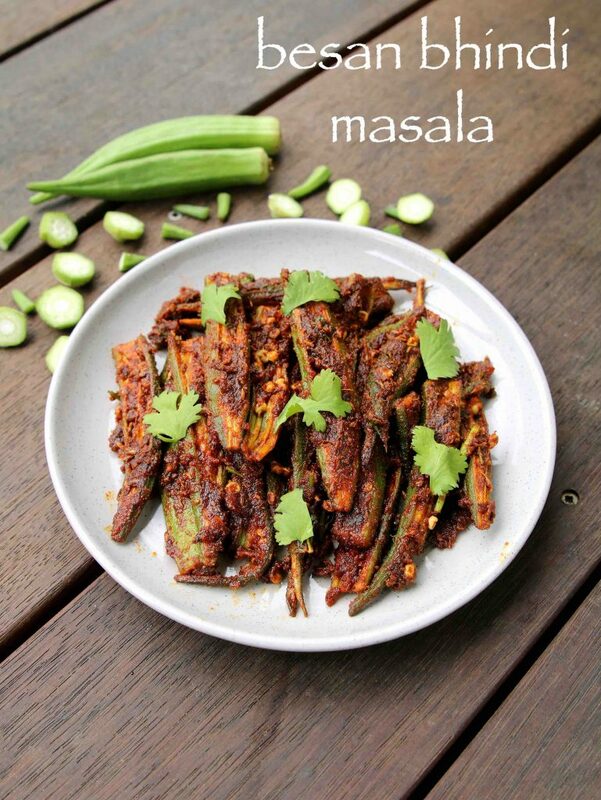 firstly, i would heavily recommend to use tender and fresh bhindi or okra’s to this recipe. otherwise you may feel more fibre’s with less juice within the bhindi while eating. secondly, make sure to wipe the okra’s dry without any moisture while chopping them. otherwise it may release its sticky latex making it a whole unpleasant experience. lastly, the same spice masala can be used for stuffing the bhindi to prepare the stuffed bhindi or bharwan bhindi masala recipe. 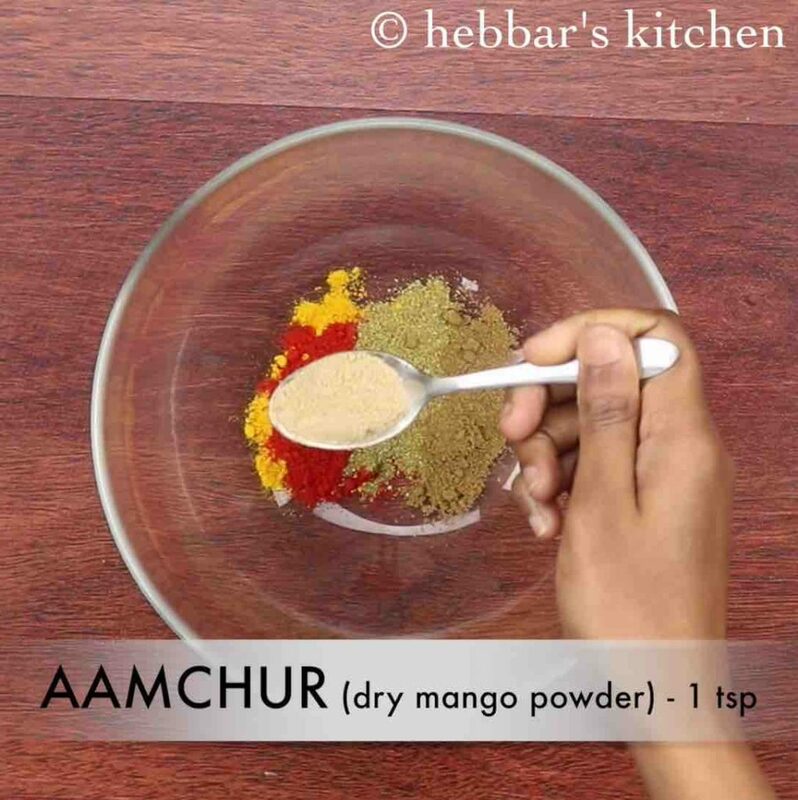 firstly, in a small mixing bowl take ¼ tsp turmeric, 1 tsp chilli powder, ½ tsp coriander powder, ¼ tsp cumin powder, 1 tsp aamchur and ½ tsp salt. now add sliced bhindi and mix well. make sure to coat the spices well and rest for 15 minutes. in a kadai heat 3 tbsp oil and splutter 1 tsp cumin, 1 tsp fennel and pinch of hing. further saute 2 tbsp onion and ½ tsp ginger garlic paste. 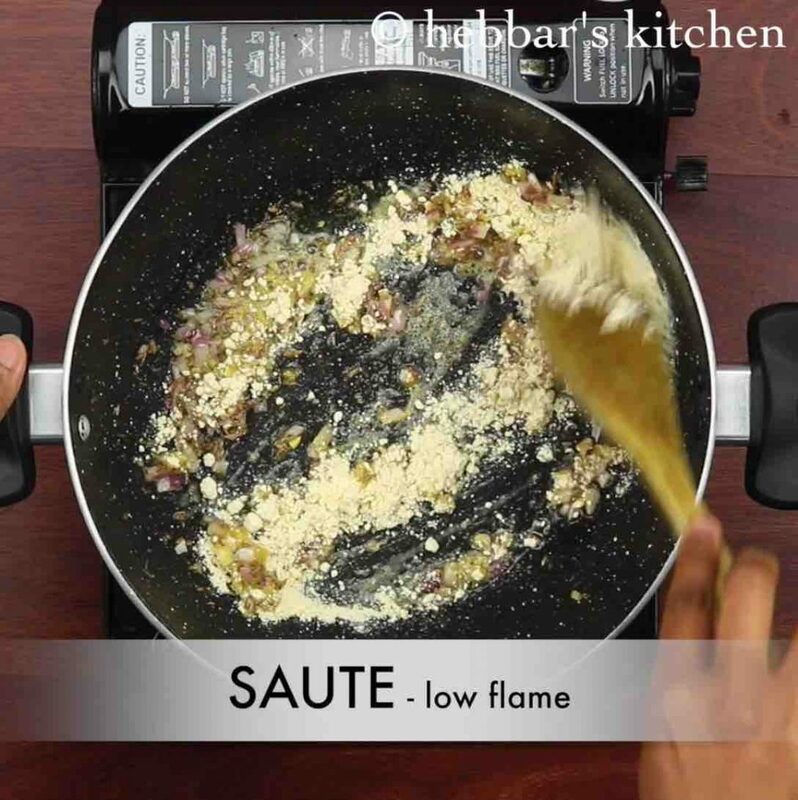 also saute 2 tbsp besan on low flame for 5 minutes or till the besan turns aromatic. 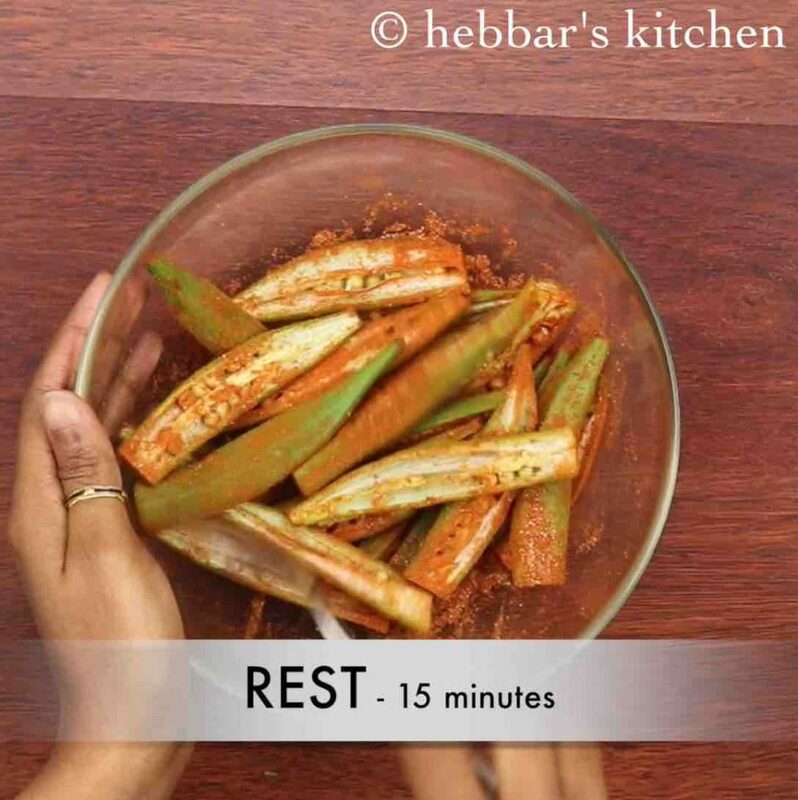 add in prepared bhindi masala mix and saute for a minute. 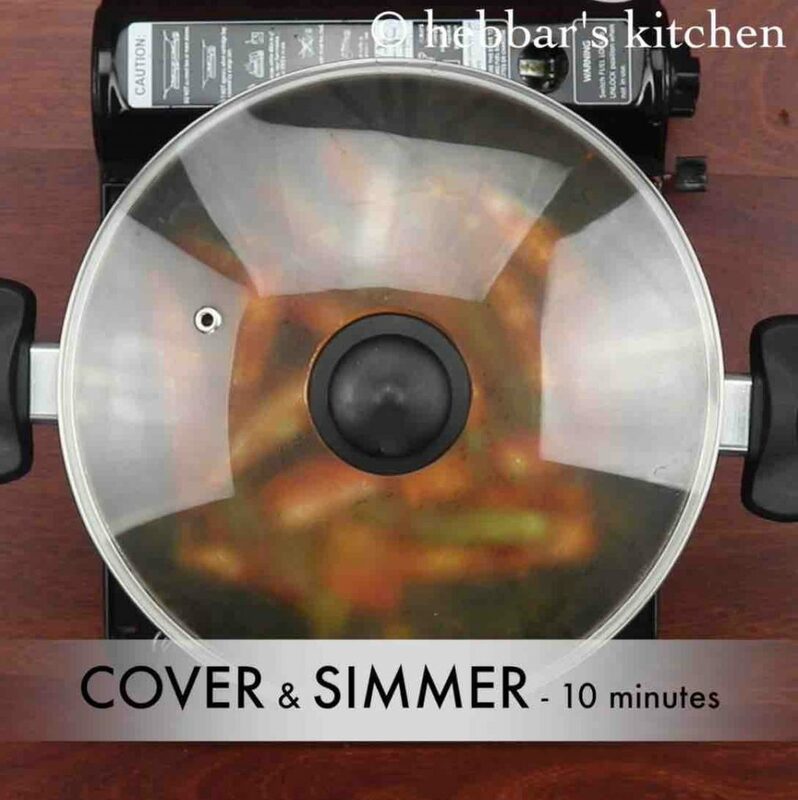 cover and simmer for 10 minutes or till bhindi gets cooked completely. 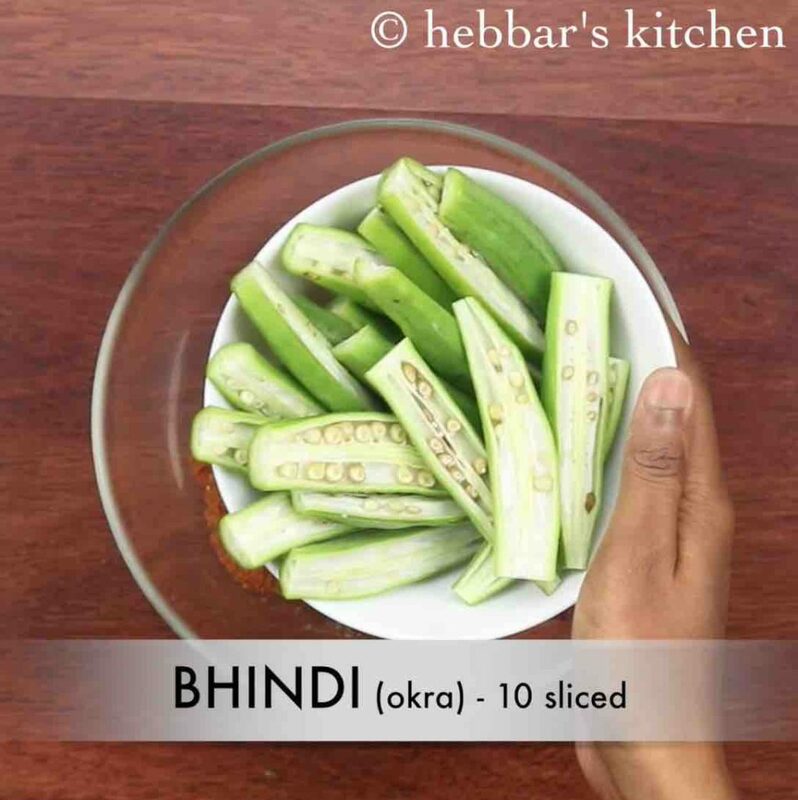 make sure the bhindi turns dark and cooke completely. 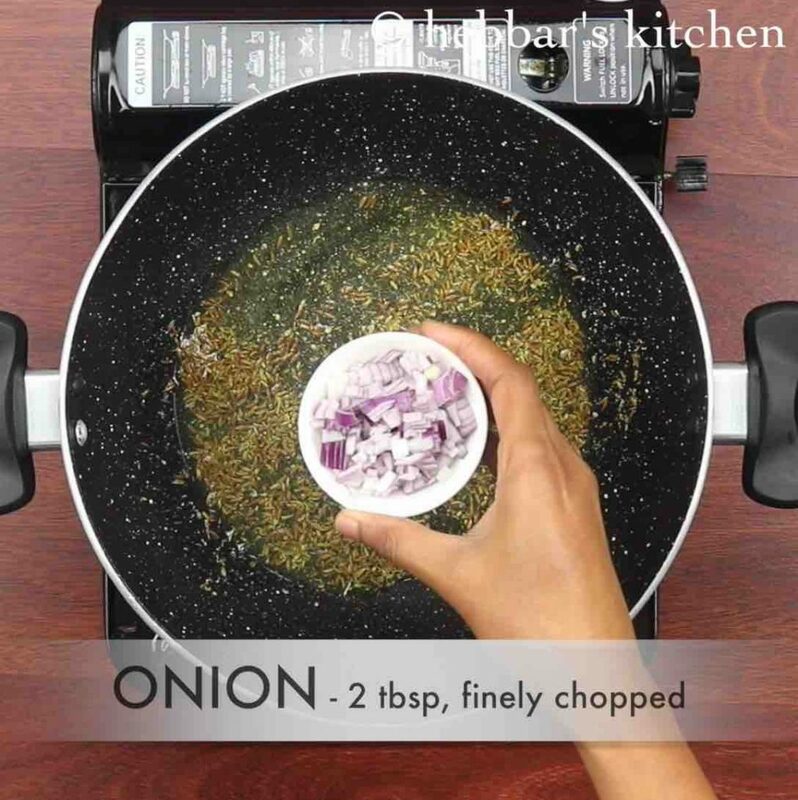 further add ¼ tsp garam masala and 1 tbsp coriander leaves. mix well. 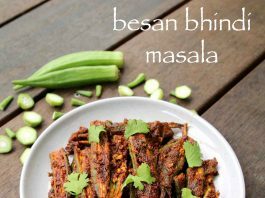 finally, serve besan bhindi masala recipe with rice / roti. 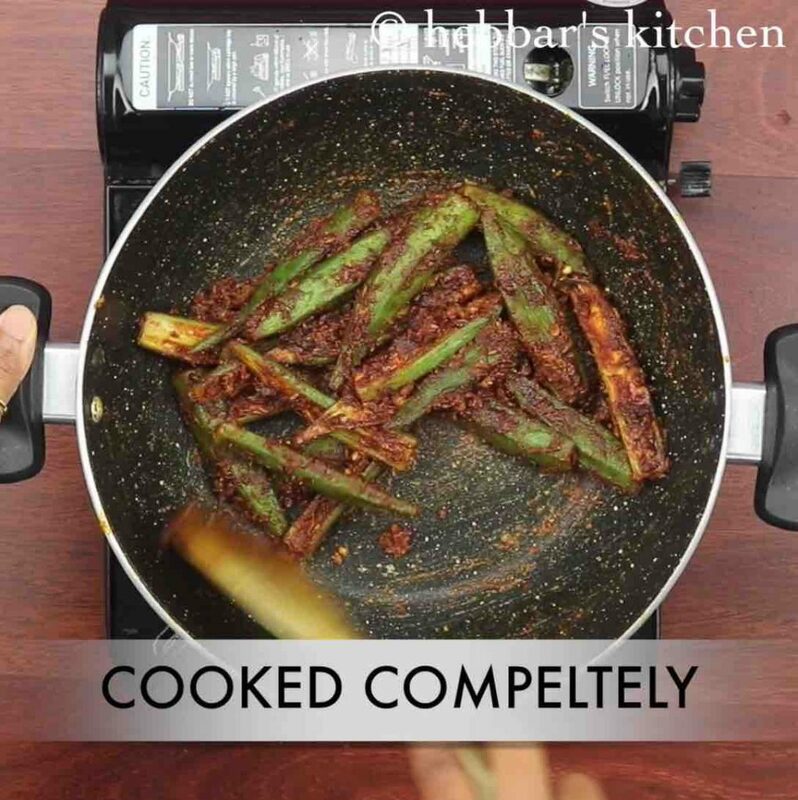 make sure the bhindi turns dark and cooked completely. firstly, adjust the spice based on the spice level you are looking for. 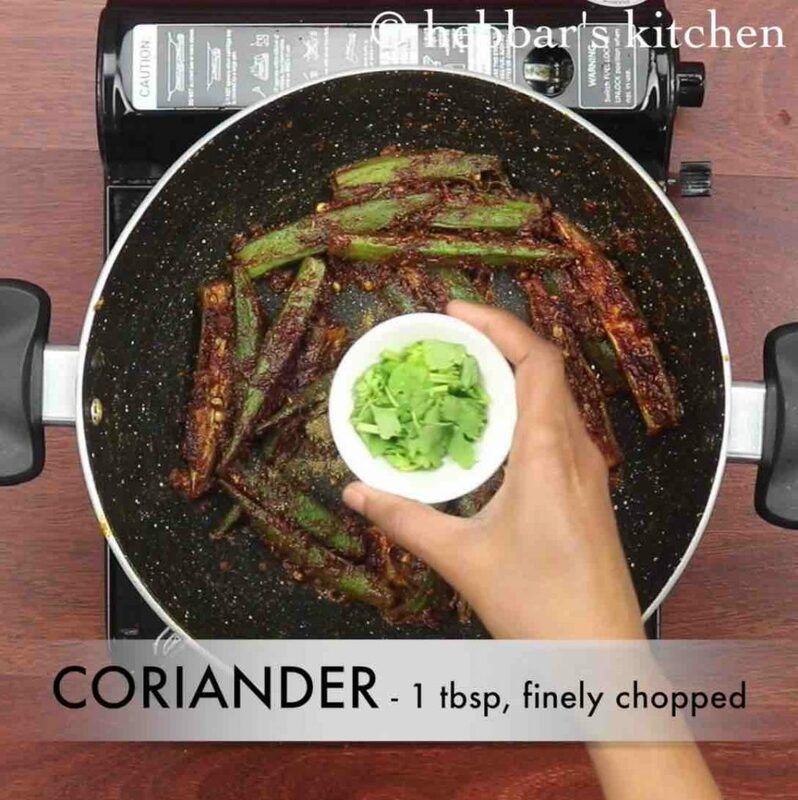 also use tender bhindi more for more rich flavour. additionally, roast besan on low flame else the besan turns bitter. 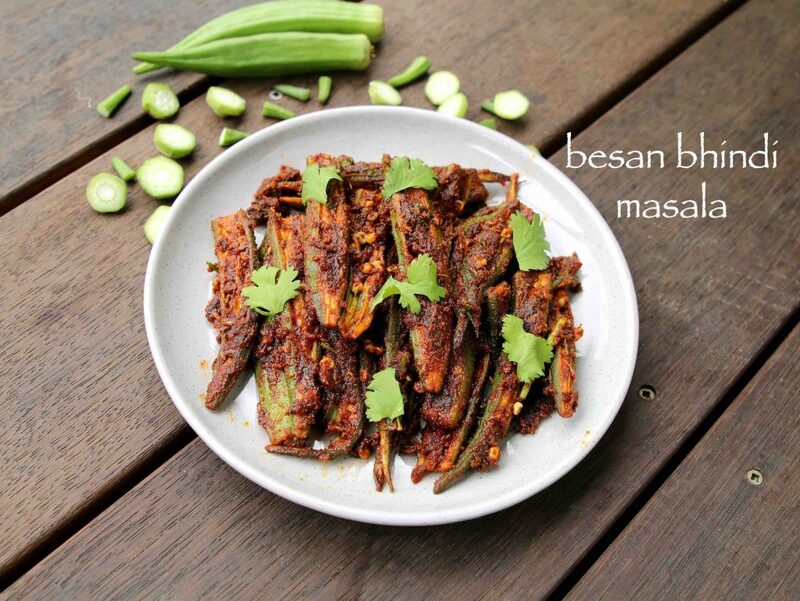 finally, besan bhindi masala recipe taste great when cooked well.